Keep this bag closed when not in use. Store in clean, dry and cool conditions, out of bright sunlight and well away from garden chemicals. Under certain weather conditions it is normal for fungal growth to appear on bark during storage. This growth is harmless to plants and should gradually disappear after the bark is spread. Bord na Móna is committed to the responsible use of peat and peatlands. This product has been produced as part of an environmental policy which recognises the need to preserve peatlands. To avoid danger of suffocation, keep this wrapper away from babies and young children. When working in the garden and when handling horticultural products such as bark, it is recommended that gardening gloves should be worn in order to avoid any risk of skin allergies or other problems. 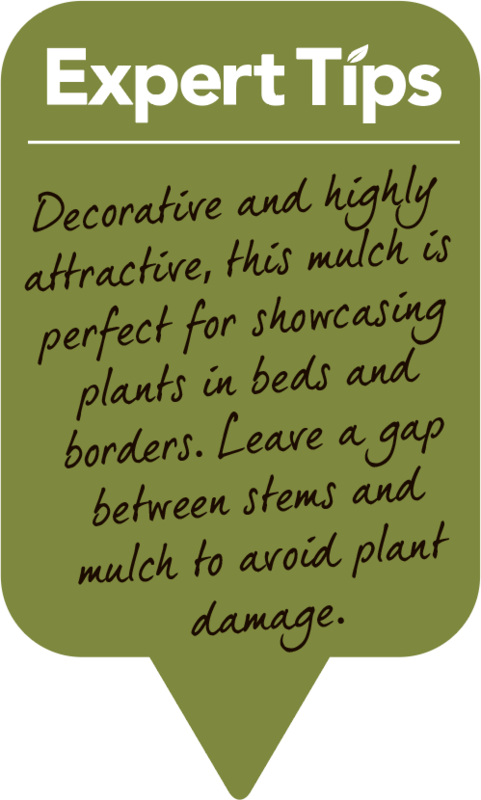 Bord na Móna Growise Composted Bark is a long-lasting, natural mulch, providing an attractive finish to beds and borders. Being composted, will last longer than other bark products and it will slowly release nutrients into soil, increasing soil fertility. It provides an easy to maintain, decorative surface for paths and recreational areas around the garden. Bord na Móna Growise Composted Bark also helps with moisture retention and weed control. The attractive colour and appearance of Bord na Móna Growise Composted Bark provides contrast, and compliments plants and shrubs, showing them to their best advantage. A mulch of Bord na Móna Growise Composted Bark reduces soil evaporation helping plants retain moisture during dry periods. Composted bark will add a rich source of organic matter to soils and improve soil structure when dug into the soil. 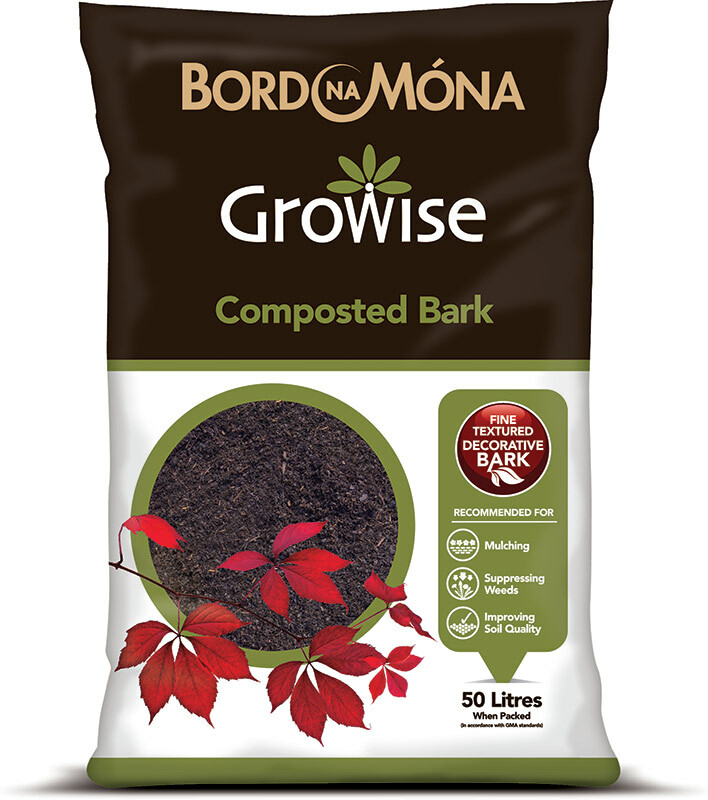 Bord na Móna Growise Composted Bark, spread at the correct depth, will help suppress weeds and reduce garden maintenance time. Bord na Móna Growise Composted Bark helps protect plant roots from extremes of temperature in both winter and summer. A layer of Bord na Móna Growise Composted Bark will help soften the appearance of paths and other hard surfaces around the garden. Bord na Móna Growise Composted Bark can be used as an ingredient in making specialist mixes. Other ingredients such as coir, peat, lime, fertiliser, perlite, water retaining granules etc., can be added to create a bespoke plant growing media, and then used all around the garden in hanging baskets, containers and pots.